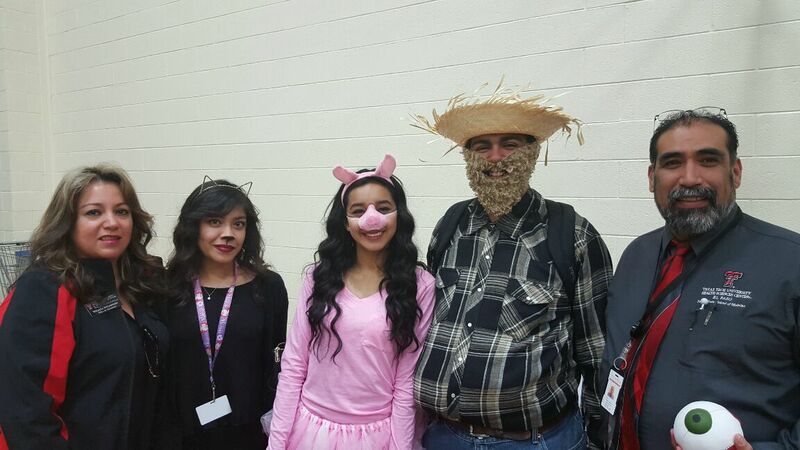 TTUHSC El Paso PLFSOM Office of Admissions Assistant Directors Rene Andre and Yolanda Betancourt at the Texas Association of Collegiate Registrars and Admissions Officers (TACRAO) college fair with Del Valle High School students Friday, Oct. 30. 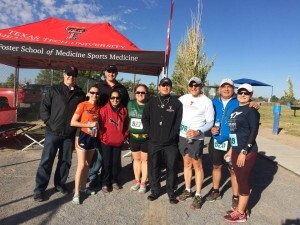 A few TTUHSC El Paso faculty participated in the Race El Paso Flying Horse Half Marathon, 10k, and 5k Saturday, Oct. 24, Drs. 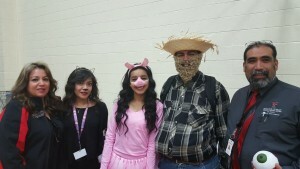 Susan McLean, Manuel Schydlower, and Salvador Cruz-Flores while the sports medicine team helped provide medical coverage. 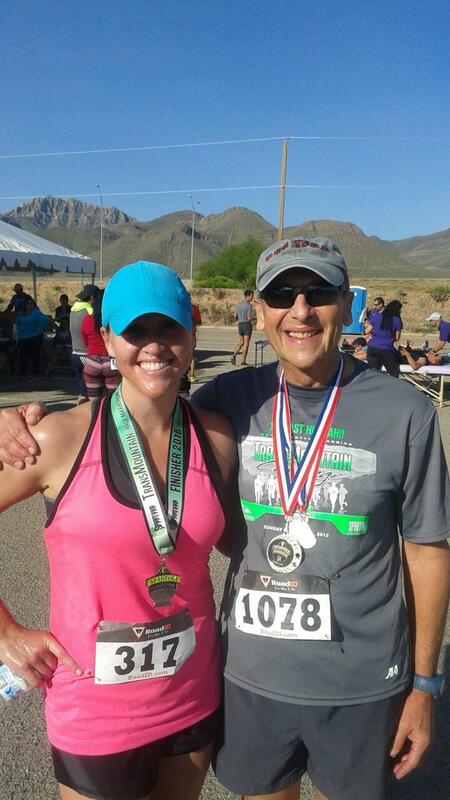 Dr. Manuel Schydlower and daughter Dr. Lisa Sullivan. 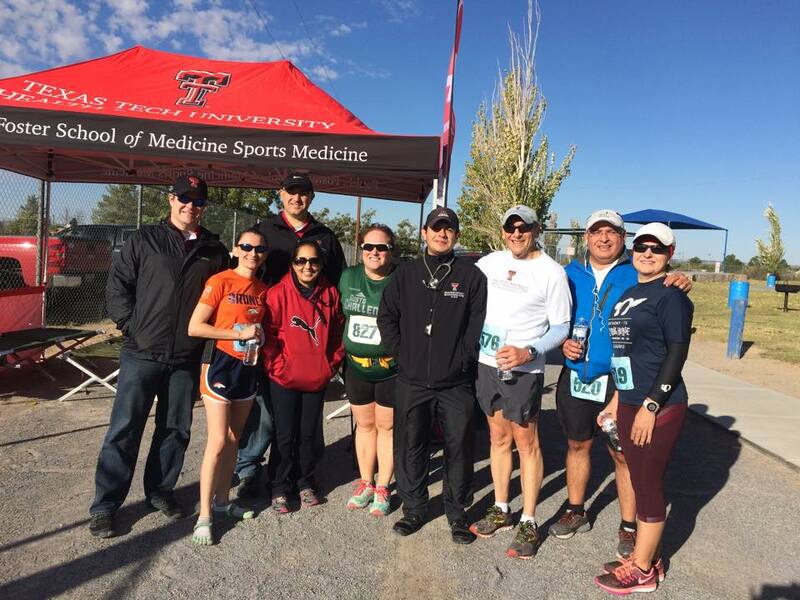 Several TTUHSC El Paso physicians and alumni participated in the Spartyka Warrior TransMountain Half Marathon & 5K Sunday, Oct. 11. Competing in the half marathon were Dr. Harold Hughes, professor of internal medicine, and Dr. Lisa Sullivan, TTUHSC El Paso PLFSOM class of 2005. Competing in the 5K were Dr. Rae Ortega, also class of ’05, her husband Dr. Justin Wright, associate professor of family medicine, and Dr. Manuel Schydlower, associate dean for admissions and professor of pediatrics.